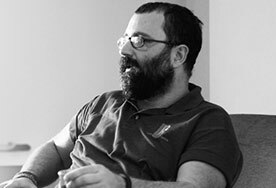 In the crowded world of issue tracking and project management software, Melbourne-based Bugherd has one unique advantage: it was built by both developers and designers. In less than three years, Bugherd has attracted more than 2,000 paying customers around the world, mostly from dev teams that appreciate Bugherd’s simplicity and efficiency over bloated, feature-packed apps. In 2014 Bugherd began building a second application, Stack, a task management tool for dev teams, with an eye to taking on bigger, established players such as Trello, Pivotal Tracker, and Asana. With Bugherd, product development was a little more straightforward: the founders designed the simple, point and click issue tracker of their dreams. 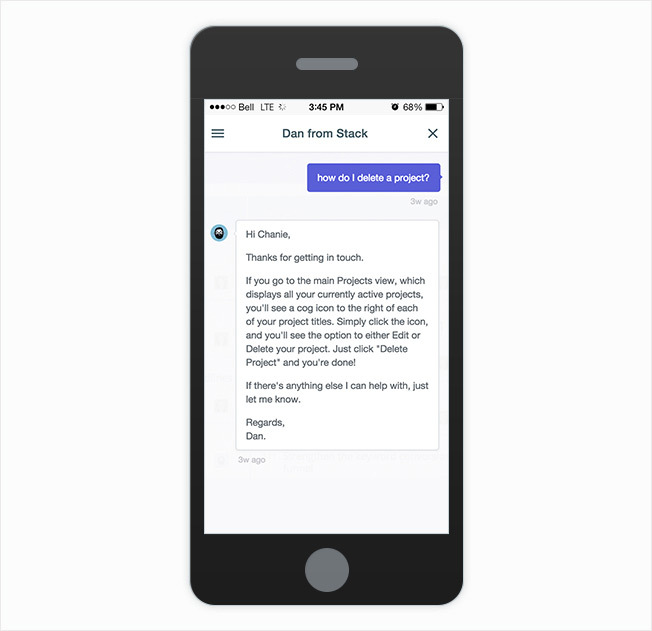 With Stack, the team had to really understand what its audience needed and wanted. From a product development perspective, your early adopters are your most valuable assets. But you need to be able to develop a relationship with them right away or you’ll lose the opportunity to get their valuable insight. The team tried engaging users through emails sent with its existing lifecycle marketing solution, but response rates were well below 10%. Lack of quality feedback posed a major hurdle in prioritizing further development of the product. Bugherd turned to Intercom for in-app feedback. 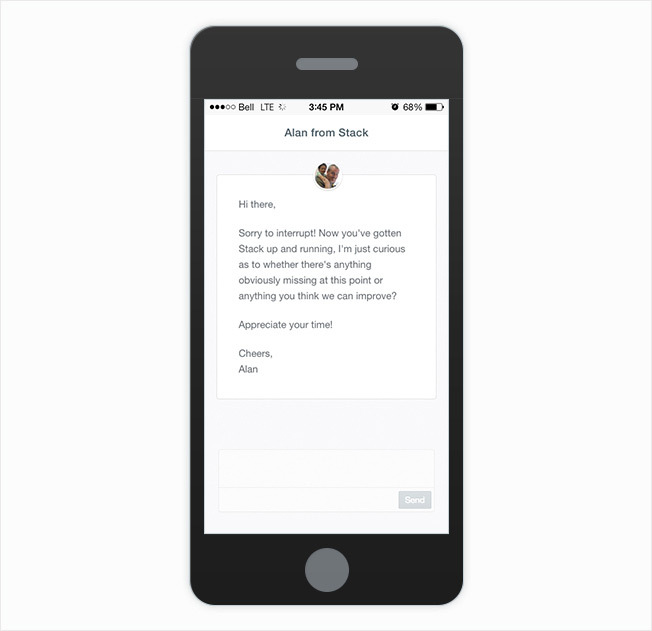 Founder Alan Downie solicits early feedback after a user has completed 2 events in Stack. Feedback from early users generated valuable insight into bugs and onboarding issues (and lots of compliments, too!). An in-app message Alan sends to more active users. This one generates richer feedback. 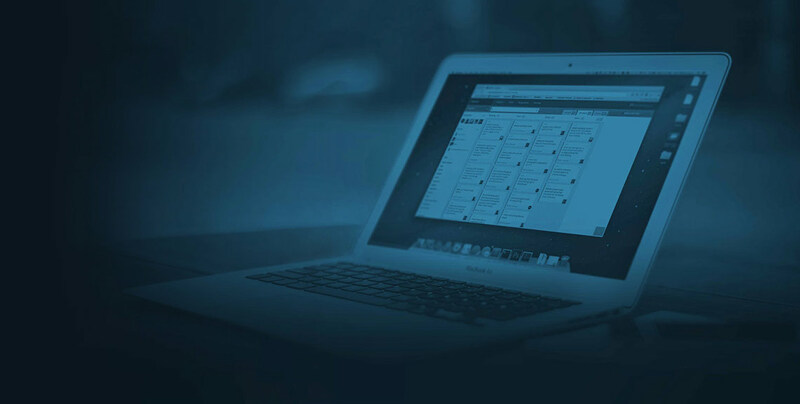 “Asking beta users for feedback at exactly the right moment and within the application was key. As it turns out, many of our customers tend to ignore requests through email,” Chanie says. Stack continued using Intercom for in-app support and marketing messages. This allowed Stack to foster positive, long-term relationships with each customer and provided a place to loop back once a feature request or bug had been addressed. Furthermore, Chanie says, the personalized touch of using profile pictures and real names made the team feel closer to its customers, and vice versa. “I know Intercom isn’t live chat, but the way the in-app messenger looks and responds so quickly it makes it feel that way to our customers,” Chanie says. “Except you’re better than live chat because we can see customer information and previous conversations in the same dashboard. 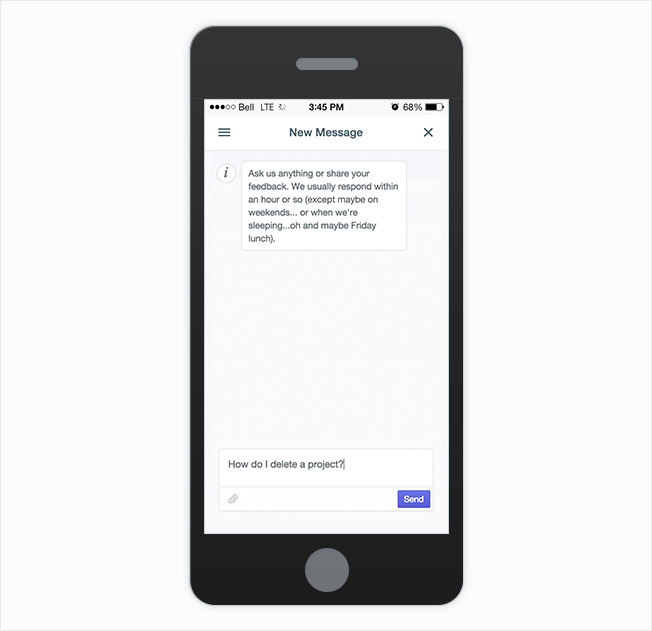 As a direct result of using in-app messages for feedback, Stack engineers saw response rates shoot up to 26%. They still send emails to reach a small subset of users who haven’t logged into their app in a while, but in-apps have been a far more effective way to engage with their audience. “With a lot of software you forget that your customers are real people, not robots. I think what’s great about Intercom is that every message feels immediate and personal, allowing us to scale while staying authentic,” says Chanie. Bugherd is a web-based issue tracker designed to help developers and designers collaborate more easily.